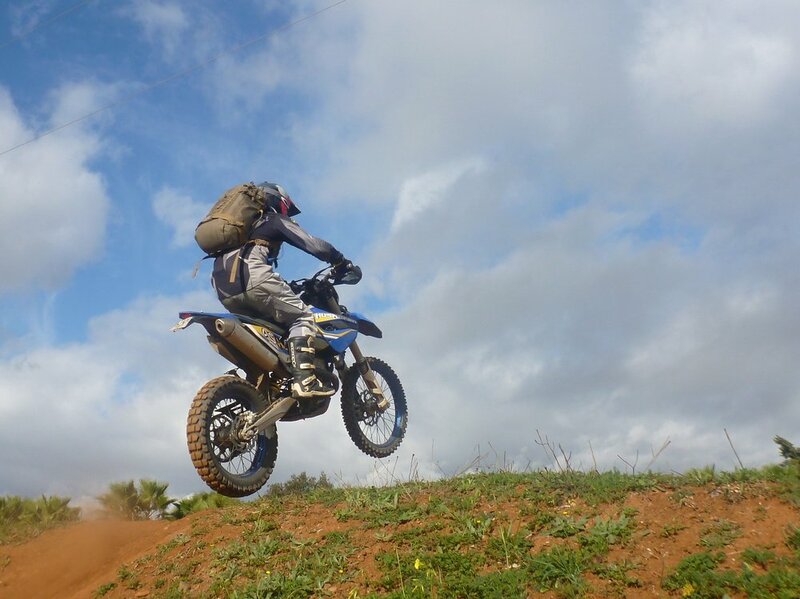 Apart from a brief stint with a Yamaha DT50 when I was a teenager, I came to riding motorcycles later in life – which means I still consider myself somewhat of newb. 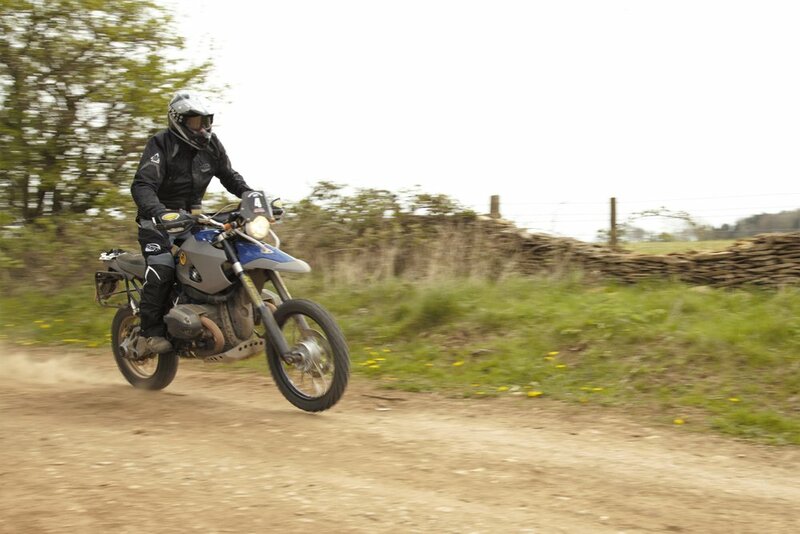 Partly inspired by watching Charlie and Ewan go The Long Way Round, and partly by childhood memories of watching BMWs win the Dakar on TV with my dad, I booked myself on to BMWs Direct Access Course to get my licence. I then proceeded to buy my first bike (an F650GS Dakar, in BMW Dakar race colours! ), unseen, while I was overseas with work. Unbeknownst to me, that was when the addiction started. I wanted something that I could commute on, tour on 2up and play offroad on. 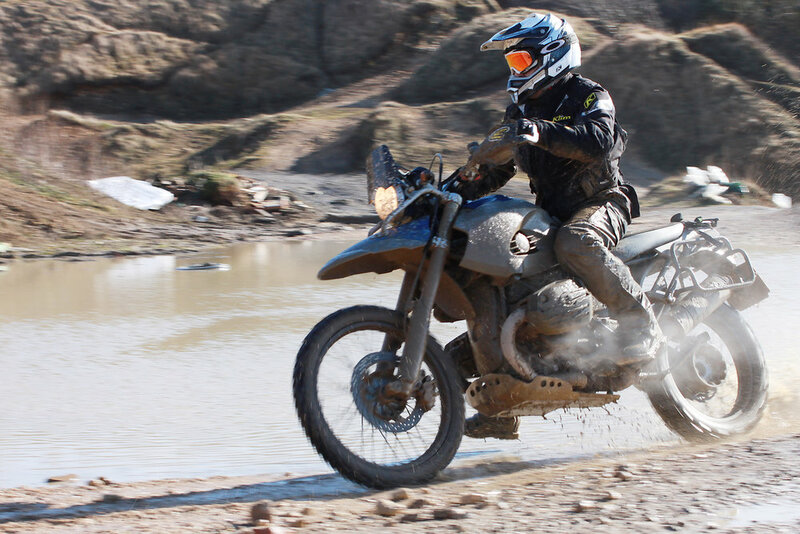 Somehow, I concluded that a BMW HP2 Enduro was the smart idea. 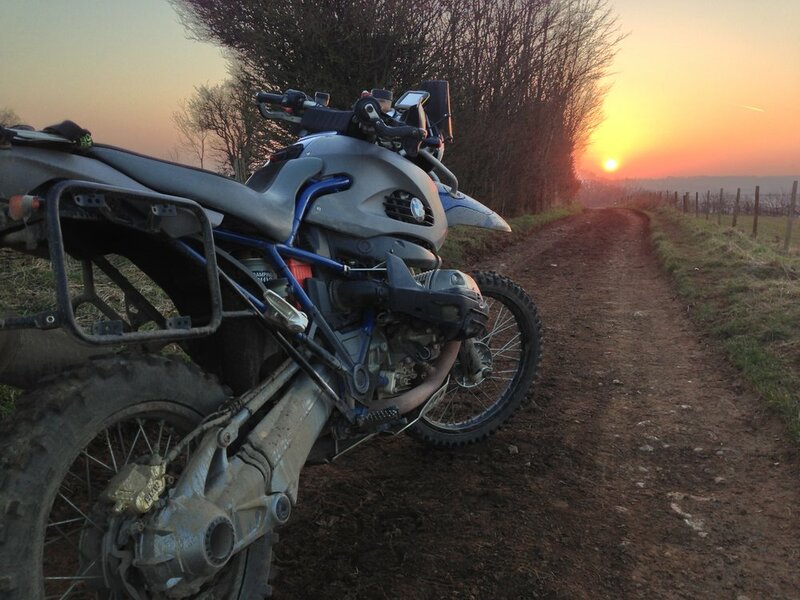 For those that don’t know – the HP2 Enduro was a limited run enduro bike from 2006, based on the 2006 R1200GS. It has a custom front end, custom HPN chassis, extended swingarm, no fairing and limited electronics (no linked brakes, ABS, tach, etc) and with a dry weight of 175kg (390lbs). At the time, the market deemed that this bike was such a bad idea that BMW had to throw in a set of supermotard wheels to encourage people to buy the bike. And all my friends told me I was crazy to want such a bike. However, I’d spent a day with Si Pavey at OffroadSkills (www.offroadskills.com) riding one, and I was smitten. I found a second hand HP2 with all the trimmings and it’s with this bike that I really cut my teeth. Running supermotard rims, I commuted as well as ran a few hill climbs. Fitting pannier racks, the HP2 turned out to be an okay tourer, completing trips around Ireland and France, 2up. But where the bike really excelled was when you fitted the dirt rims and used it for all around ‘adventure’ riding - anything involving a range of dirt but needing to ride some roads to get there. Examples include: The Lands End Trial – a 350 mile, overnight trials event, with 25 marshalled hill climbs to complete without putting a foot down – most of them in the dark. 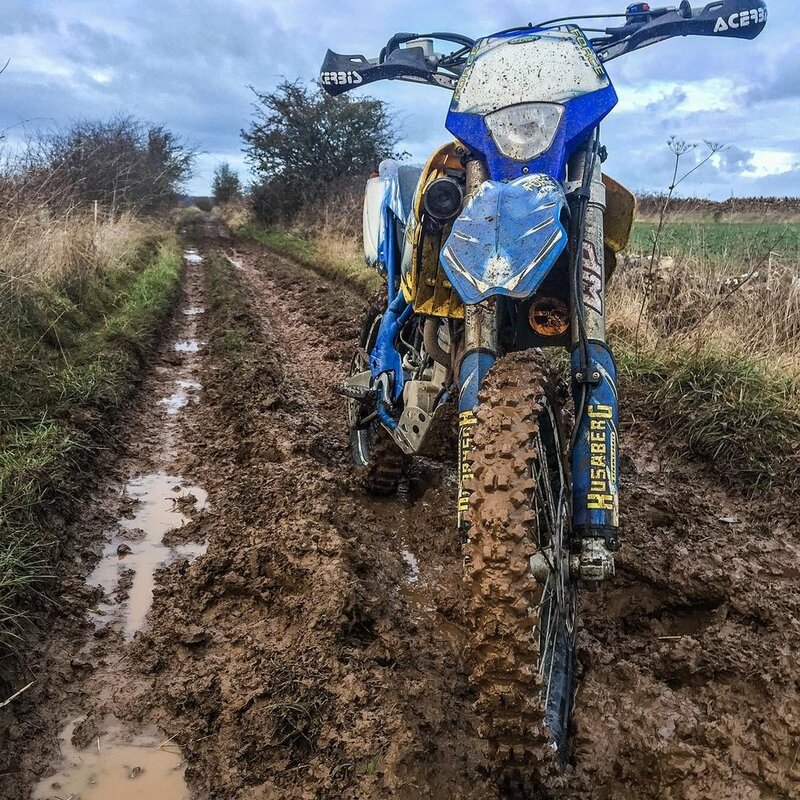 The Rydale Rally – a 250 mile enduro, spread over 2 days. 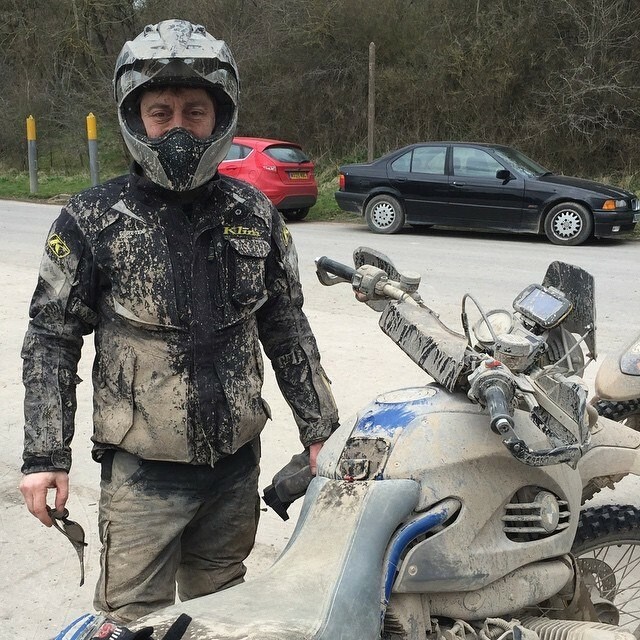 A weekend of dirt bike riding on the Isle of Man, 200 miles from home. 40,000 miles later, I’m still abusing this bike whenever I get a chance and if I could only have one bike, this would be it. Given my addiction and a yearly mileage in the region of 15/20k, the fleet has been added to – an R1200GSA for the bigger trips and commuting, an old R100 airhead for playing on, and 450 ‘Berg that simply doesn’t get used enough. So much of the enjoyment I get out of riding bikes is because of other people so I wanted to give a shout out to some of the sources that have helped, taught, inspired and generally enabled me to get so much from biking. www.ukgser.com is a community from the UK focused on the BMW GS. It’s where I made a bunch of incredible friends who’ve taken me places on motorcycles I would have never thought possible. www.advrider.com is a more US based ADV community, and yet I’ve made many friends that have resulted in meetings in real life and incredible friendships. It’s also a huge resource when you need technical help for example if you’re stuck on the side of the road! 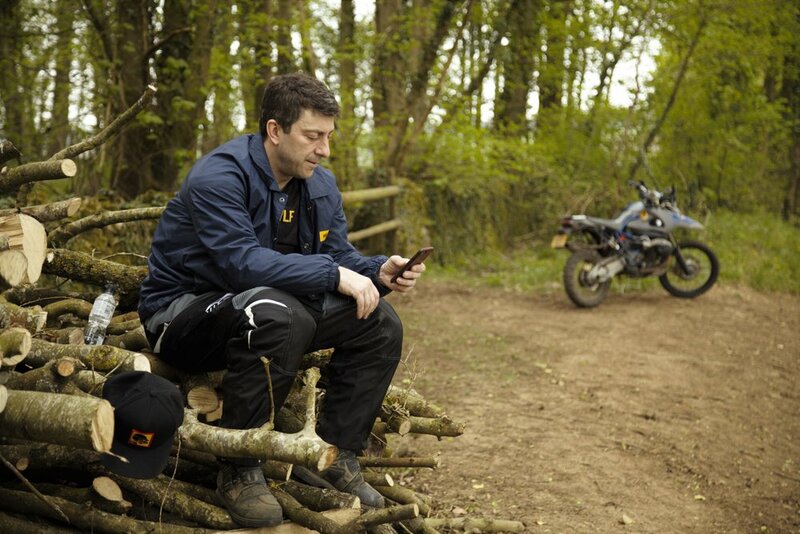 I already mentioned Off Road Skills – run by the Pavey family, they have a school in Wales on 4000 acres of land, the latest bikes and some of the most knowledgeable instructors I’ve ever had the pleasure to meet. Even if you can’t get to this school in particular, it’s my opinion that paid for tuition is worth ten times the value of any bling for your bike. Instagram – I am incredibly amazed by the friends that I’ve made on Instragam. People like: @Rideandwander, @motomancasey, @motorsurgicaldiaries, @kilometer_9, @pristroxler, @beemer_bunny, @timburkephoto, @rodeo.cowboy, @_the.yeti_ They’ve become great friends, generous with their time and support, some I’ve already met in person, and the rest I intend to meet as soon as I can! They all inspire me to do more. It’s amazing what you can find on the trails! WLF – I know this is being posted on WLFEnduro but it needs to be said. WLF is doing a great thing developing the riding community, sincerely focused on spreading the enjoyment of being on two wheels and what it means to twist that throttle! I feel proud to be a part of the pack. Which brings me to the last point – People giving up their time and knowledge is how I learnt, and so I try to pay it forward whenever I can, whether it be some advice on bike set up, or showing someone round the trails, including where the good pubs are. We’ve also been experimenting with instructional videos on IG, to help people with some of the basics – as much as you can in 60 seconds! An average week for me in the UK involves around 300 miles of commuting on the bike, which I use as an opportunity to find any kind of offroad detour I can, even if it’s only a mile or two of trails. It’s all about hours in the saddle. On the weekends, if I’m not trail riding on Salisbury Plain or Wales with friends, I’m hitting the local trails solo. People often think it’s only about the epic trips they read about, while missing out on the adventure right on their doorstep. Friends, and a bunch of old tanks! Beyond this, for 2017 I have the UK GS Trophy and The Erzberg Prologue which I’ve entered on the HP2, so that should be interesting. It’s not always on two wheels! We also have a Land Rover Defender, that we’ve used for a few adventures, including a pretty epic trip to North Africa. Photography is something that I’m also spending a lot of time learning about, trying to better understand how to get those epic shots. It helps to have a brother who is really rather handy with a camera (@bruceseesthis). He is the one so frequently making me look so good, whilst teaching me a lot at the same time. When I’m not doing any of these things, I’m an instructor with a cadet unit, made of up of both male and female 15-18 year olds. On paper, as Head of Army section, we teach them fieldcraft skills such as patrolling, tactics, how to live and eat in the field, marksmanship, platoon harbours. In reality, we’re using a military construct to teach them leadership, initiative, self-confidence, team work, and followship. It is both humbling and inspiring to work with these cadets and to see them develop through this process. Mav has been an amazing support & team member WLF and the moto community. He's been flying the WLF flag in the UK for as long as we can remember. It's always great meeting people who have a genuine passion for riding. Riders that aren't tied down to one style or bike preference. 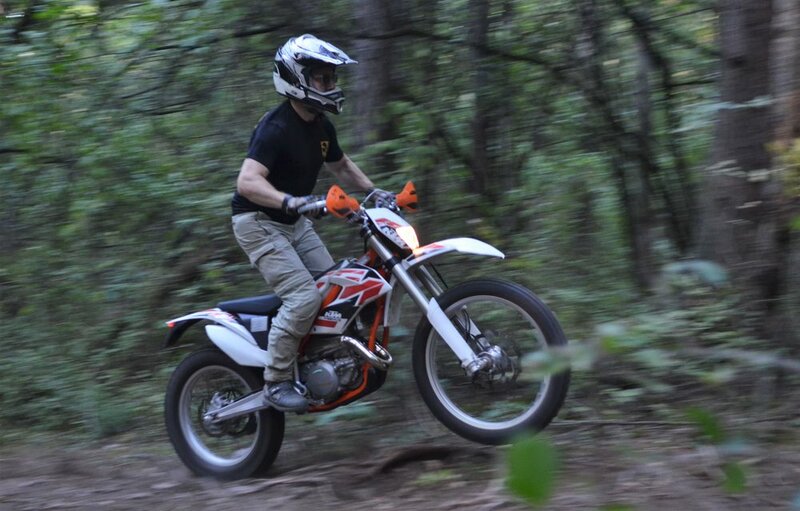 Markos encapsulates what WLF Enduro is all about. Getting outside, exploring, riding with friends in good times and bad. Thanks again for all the hard work you put into this amazing write up Jason! Make sure you follow Mav's amazing gallery on Instagram.